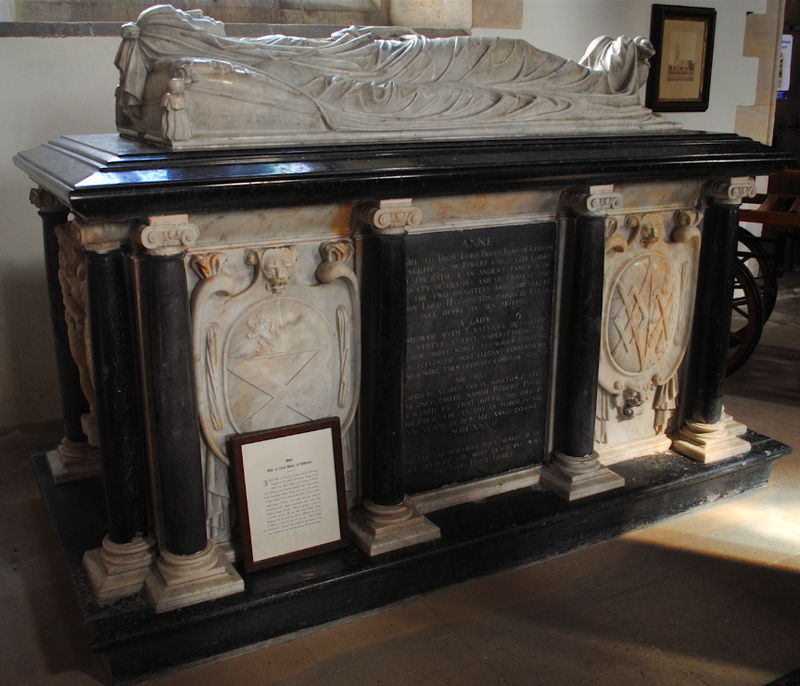 At the west end of the north aisle in the Church of St Peter & St Paul, Exton, is a black and white marble chest monument. The chest monument was erected for Anne, the wife of Lord Bruce of Kinloss, who died in 1627. The chest is richly decorated in a classical style with Ionic columns and heraldic shields around the base with the white marble shrouded effigy above.